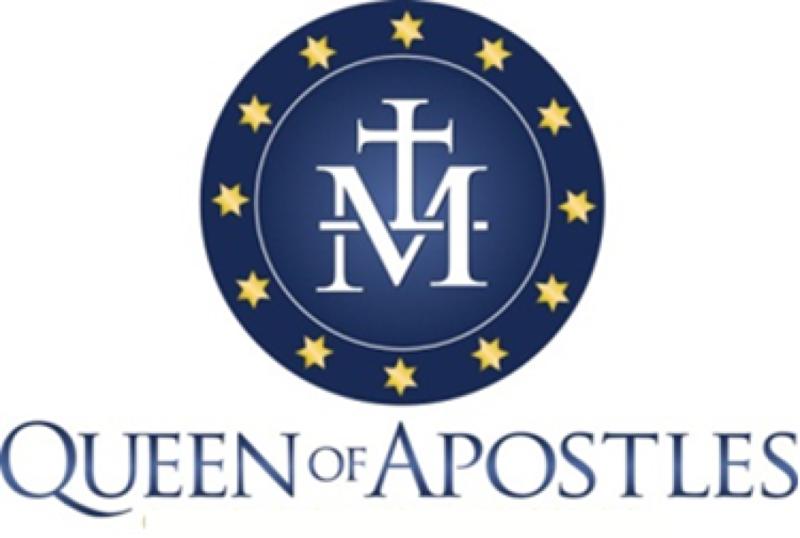 The new logo for Queen of Apostles Catholic Church and School incorporates traditional symbolism associated with Our Blessed Lady under her title of Queen of Apostles and of the holy Apostles themselves. The center of the medallion has a detail from the reverse of the Miraculous Medal, the initial “M” intertwined with the Cross of the Savior. The medallion is surrounded by the twelve stars of our Lady described in the Apocalypse of St. John, symbolic of both the Twelve Tribes of Israel and of the Apostles of the Lord.